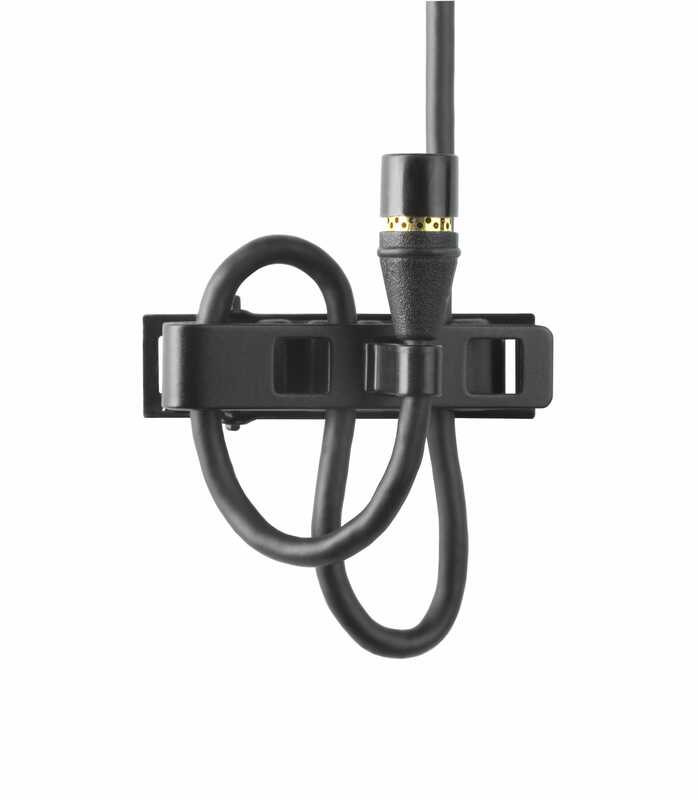 The Shure MX150 Subminiature Lavalier Microphone is a subminiature, multi-positioned clip-on microphone well suited for broadcast operation, sermons, presentations, public address and much more. This version features a TQG connection for use with Shure wireless bodypack transmitters. Shure's CommShield technology makes the MX150 impervious to noise caused by cell phones, PDAs, WiFi and other RFI. The microphone ships with a snap-fit foam windscreen and multi-position tie clip with an integrated cable management system that minimizes noise without increasing cable strain and tension. Mx150b O Tqg from Shure is 100% original and brand new. We, at Melody House take pride in our after sales service and support. For further details on the mx150b o tqg, Shure, simply write to us to consult an expert or order online and we will take care of the rest. Happy Shopping!